This homemade costume for kids entered our 2015 Halloween Costume Contest. My very imaginative four-year-old son loves cooking and baking. He says he wants to be a chef when he grows up! 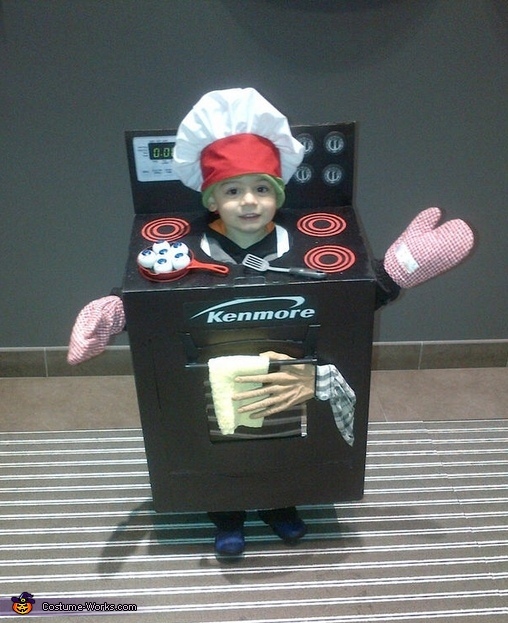 When I asked him what he wanted to be for Halloween he very simply replied "a stove of course"! As you can imagine, they don't make too many toddler stove costumes, therefore I had no other choice but to make one.